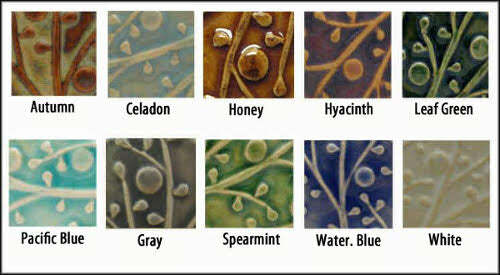 Quartet of Trees in multiple glazes. Total size: 8"x8" not counting grout lines. Size of grout lines will determine total installed size. These tiles do come with hanging slots on the the back, so they can also be hung on the wall without adhesive, if desired.